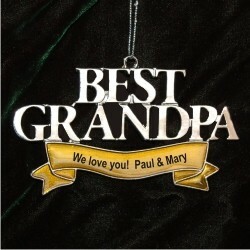 Tell Gramps he's great with the best grandpa personalized Christmas ornament that arrives in our distinctive velvet gift bag. The strikingly handsome metal letters will shine brightly wherever he chooses to hang the ornament using our custom display cord. We offer several family ornaments personalized from this series, so creating a theme in your giving will be easy this year. 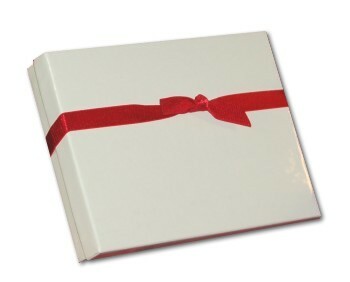 The best grandpa Christmas ornament personalized just for him comes with your personal message of love and admiration.